Giving gifts brings me pure joy. I love seeing a look of excitement on a person’s face when they open a gift from me that tickles their fancy. Getting the ideal gift for a traveler, however, can be tricky. What a traveler wants is often a matter of taste. I find luggage to be an incredibly personal preference, as are cameras. Both are great gifts for travelers, but I would caution you to ask your traveler pointed questions before investing in either of these purchases. There are many gifts, however, that are quite universal. Here is a list of travel gifts that I find delightful and would be happy to receive. 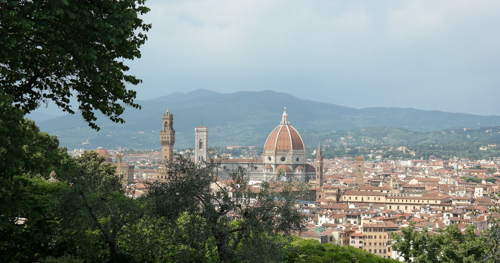 Photographic Art–What does a traveler do when not on the road? Fantasize about traveling. A great way to help them on their day-dreaming voyage is with photographic art of their favorite vacation spot or most coveted locale. High quality photographs make a striking and rich-looking gift for anyone with a wall. Photographic art also makes a great gift for teachers and coworkers. 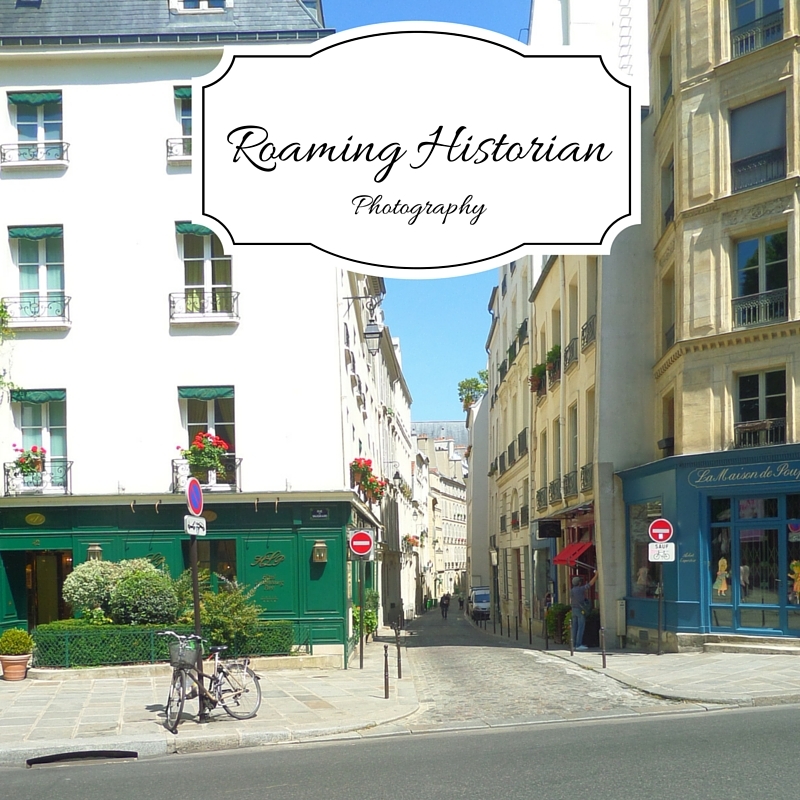 I may be biased, but I enjoy my own shop, Roaming Historian on Etsy, where I sell various photographs from our travels. We will customize any print by matting and framing it or having it made into a canvas creation. Our photographs can transport you around the world. Prices start at $10 giving you the opportunity to give the gift of art at an affordable price. Journal–You don’t need to be a travel writer to enjoy a journal dedicated to your journey. There is nothing like gazing up at the Eiffel Tower or experiencing gelato in Italy to turn one into a writer. 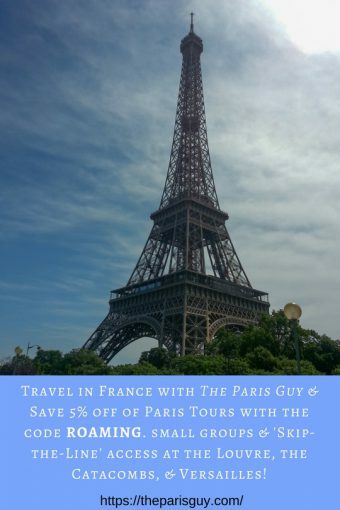 You can jot down pre-trip notes, write impressions of the trip, note great restaurants, sketch, or make future plans (I find that every trip gives me reasons to go back). I prefer Moleskine’s large notebook (around $14) for its bookmark, pocket, and elastic closure. 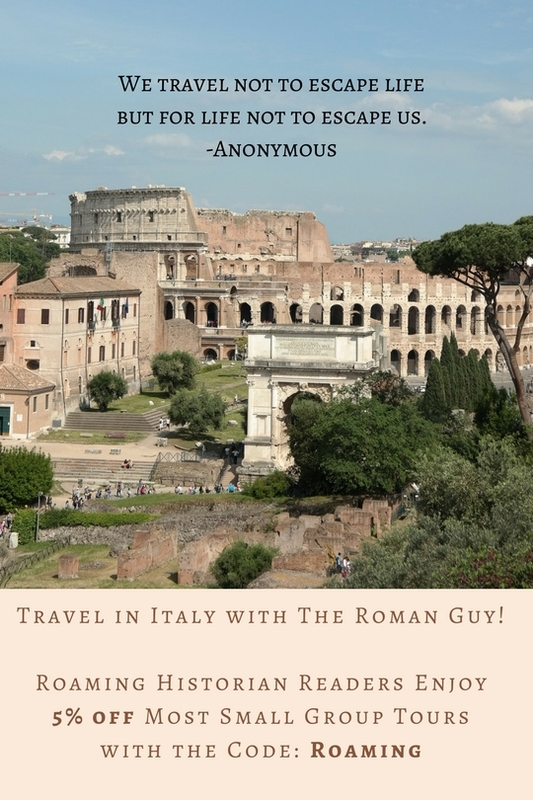 Travel Guides/Phrasebooks ($10-20)—If you know the location of your traveler’s next trip, a travel guide or phrasebook would be a thoughtful gift. Or, if they already have an e-reader, you might want to get them a gift card to buy those types of books. Travel guides, like travel blogs, provide inspiration for sites to visit, restaurants to eat at, and places to stay. 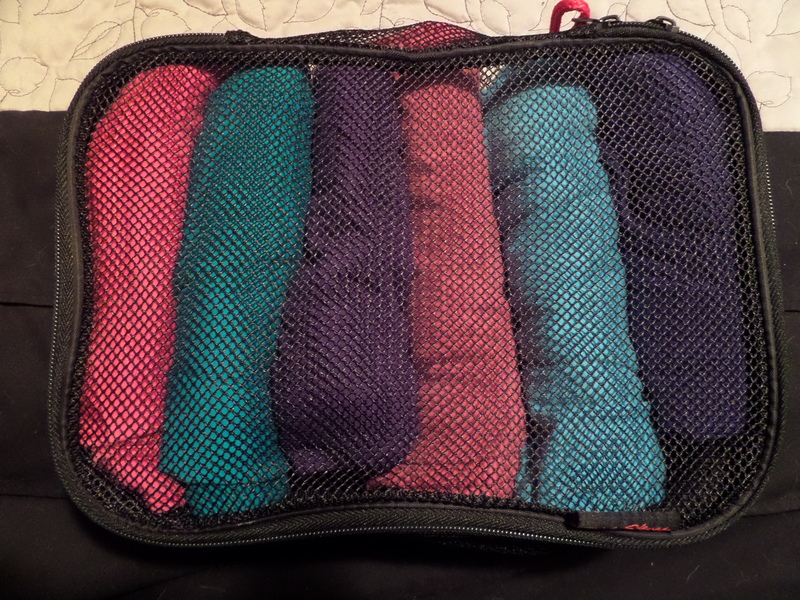 Packing cubes ($7-$20)—Savvy travelers know not to pack too much. Moreover, they are probably already color-coordinating their wardrobes before they leave and rolling their clothes tightly to fit as many as needed into one case. Packing cubes are handy for helping the traveler stay organized and to pack efficiently. Look for flexible cubes. Cubes that aren’t flexible end up taking up more room than saving space. I like mesh so that my clothes can breathe. A shoe sleeve is great to keep those nasty soles from damaging my other goods. Reusable bag—A bag that folds into itself is invaluable. They can easily fit in a purse or pocket and are great for carrying souvenirs or picnic food. My favorite is the zippered “Hide-Away Tote Bag” by Rick Steves ($19.99). It’s lightweight and unfolds into 22″x8″x16″! The fact that it zippers shut means that I don’t have to worry about my valuables falling out. If need be, I can then use it as a carry-on on the way home. Stocking stuffers—They may not be the sexiest gifts, but electrical adapters ($3+), portable chargers ($10+), TSA-approved locks ($6+), mini umbrellas ($10+), travel throws ($15+), sleep masks ($5+), and compression socks ($30+) are all thoughtful and fairly inexpensive gifts. Money—Gift givers are sometimes averse to giving cash, because they think it seems impersonal. But to the traveler, it may be the best gift you can give. By giving cash, you may be freeing them enjoy a meal in a pricey restaurant, buy a piece of art from a local artist, gorge on daily gelatos and espressos, or purchase a gift that they wouldn’t normally buy. You are giving them the gift of wonderful memories or tangible goods that will continuously bring them pleasure. It is, perhaps, the best gift that you can give a traveler. Just make sure that you tell them to spend it on something special.